Online MBA Ranked 15th in U.S. The online MBA program at the Frank G. Zarb School of Business is ranked 15th in the nation, according to The Princeton Review’s first annual ranking of such programs. The rankings, released this week, rate the Top 25 online MBA programs in the U.S., based on surveys of administrators, students, and graduates of online MBA programs at 80 schools. Hofstra’s online MBA program is the only one in the metropolitan New York area to make the prestigious Princeton Review list. 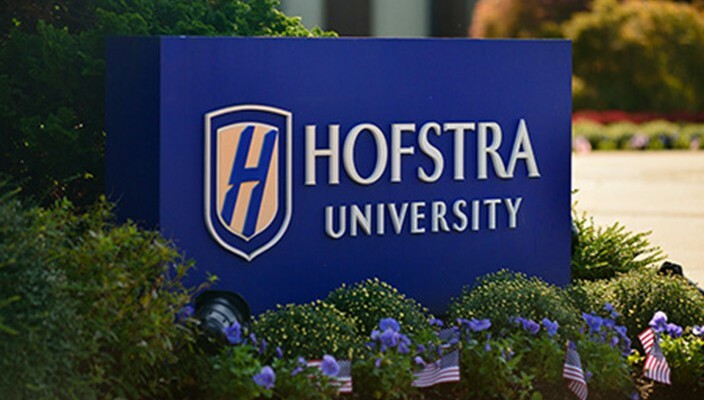 Launched in 2011, Hofstra’s online MBA offers two concentrations: strategic business management and strategic health care management. While the majority of the two-year program is taught online, students also participate in two, four-day campus residences, as well as a weeklong global practicum designed to provide a multi-national, cross-cultural experience. Previous cohorts have traveled to China, Japan and South Africa for their global practicum. “It is very gratifying for our faculty, administrators and students to receive national recognition as we continue to build an online MBA program that offers all the flexibility of distance learning with the academic rigor of a Zarb business degree,” said Dr. Kaushik Sengupta, PhD, executive director of the online MBA program and chair of the Department of Management and Entrepreneurship. The Princeton Review focused on five core areas: academics, selectivity, faculty, technical platforms, and career outcomes. Data points were weighted in more than 60 unique fields to determine final rankings. “Each of our top 25 schools offers a first-rate MBA online as well as on campus,” said Robert Franek, senior vice president-publisher of The Princeton Review. “Like highly successful businesses, these highly-respected b-schools are serving their customers with innovative options.” Franek also noted that the online MBA program students surveyed reported deep satisfaction with their education. “Ninety-four percent told us they believe their online MBA will have a positive impact on their careers,” he said.